I obviously have a hard time saying "No" to pretty new house bling. I've actually been on a bit of a binge recently buying new brass hardware. 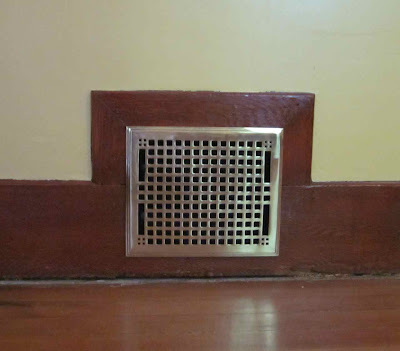 This week, some mission style brass register covers. Ooooh, shiny! Here is the before. Pretty filthy with some drips of paint, which I'm pretty sure pre-dated our remodel of the house. I tried to clean one of these up, but it didn't really look much better. 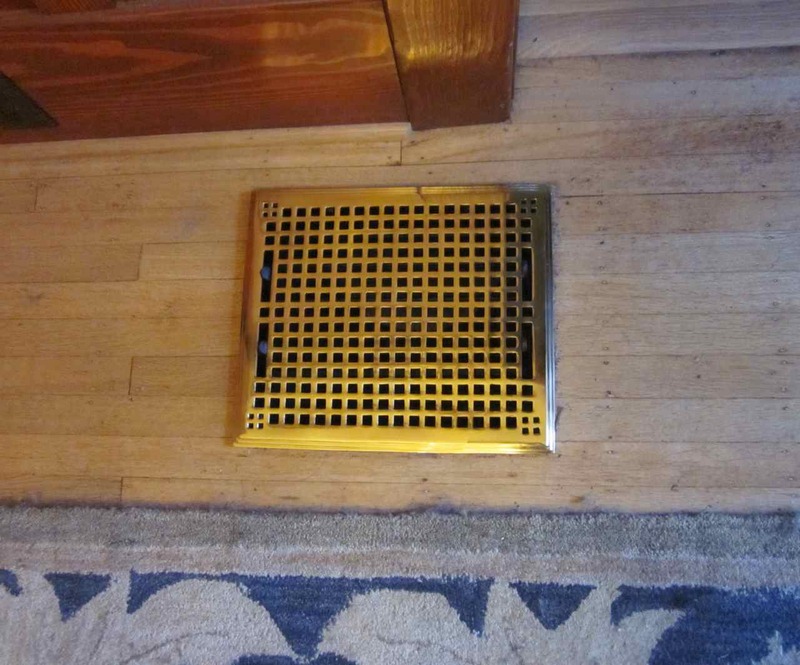 I would have preferred to refinish these and continue to use them, but apparently brass plating is stupid expensive. My earlier comparison shopping with the door hardware found buying new solid brass was cheaper than replating, so I just continued the trend. I've had to spend my time this week doing a bunch of tasks for an SCA event this weekend, so I haven't had time to get back to working on Jeff's closet. Hopefully we'll be back on-project next week. I'm trying to convince myself that it okay to buy fancier hinges for our bathroom door...it's jut a little splurge, right?! Very pretty. Regarding your painted hinges, if you like them you could just boil off the paint in an old Crock-Pot. I love these! 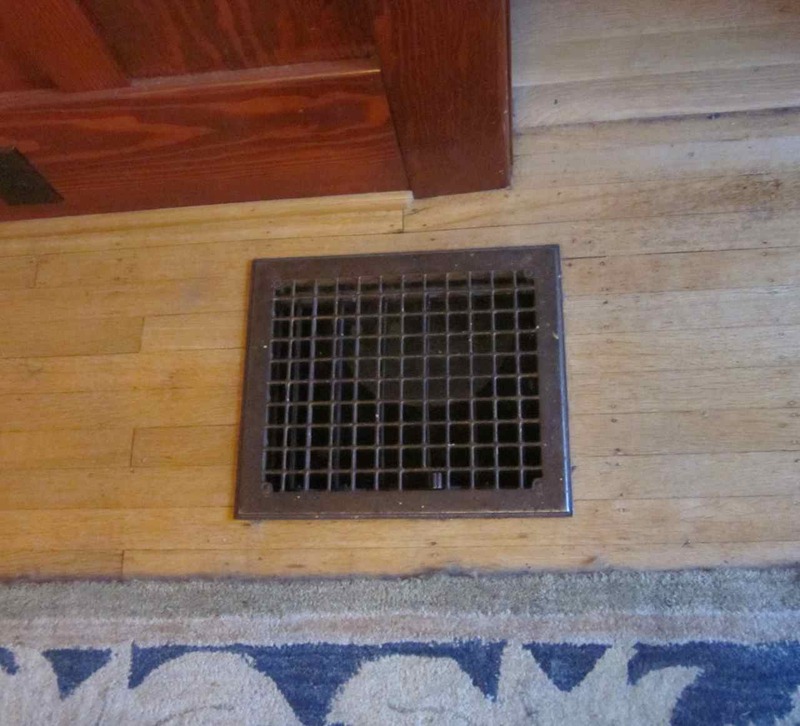 We need to get new vent covers when we refinish the floors... Where did you get these? Signature Hardware. I linked to the item above in the blog post.